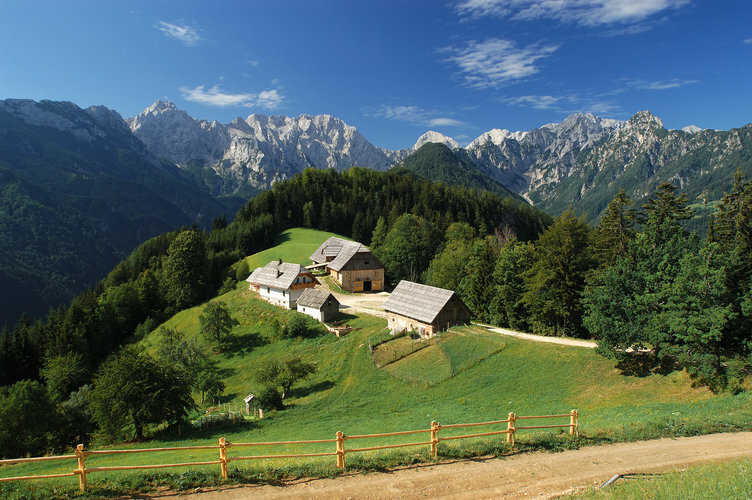 Slovenia Incognita | WHERE IS SLOVENIA? I am going to kill you! Where is Slovenia? My boss burst into the office one morning, shooting daggers at me. I lived in London in the late 1990s, working in administration of one of the national research councils. Tom Cruise picking his next holiday in Europe. First of all, it is not Slovakia and we were never part of Czechoslovakia. However, we did share a common country with both Slovakia and Czechia once, the Habsburg Empire. We were also never part of the Soviet Union or the Warsaw Pact, although we were a Communist country. Slovenia was the northernmost of the six federal republics of former Yugoslavia. We split off Yugoslavia and became an independent country in 1991. The other five Yugoslav republics have also all become independent countries: Croatia, Bosnia and Herzegovina, Serbia, Montenegro and Macedonia. Balkanization in this case was carried out by the book and in its original place. Overseas tourists can easily place Slovenia between Venice and Vienna. It is less than a two hours’ drive from the border to either. You can also say that Slovenia is between Bologna and Budapest or between Salzburg and Sarajevo. Travelers will pass it on the way from Amsterdam to Athens, and Agatha Christie’s Orient Express would have passed Slovenia, had the murder not stopped it at Vinkovci (Croatia). 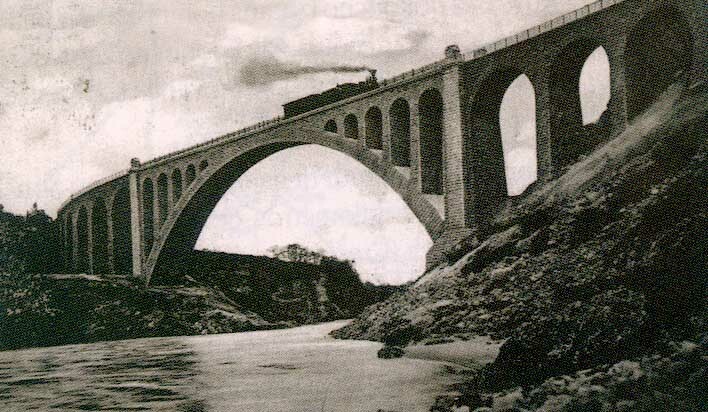 Solkan Bridge over Soča river. Source: Wikipedia. 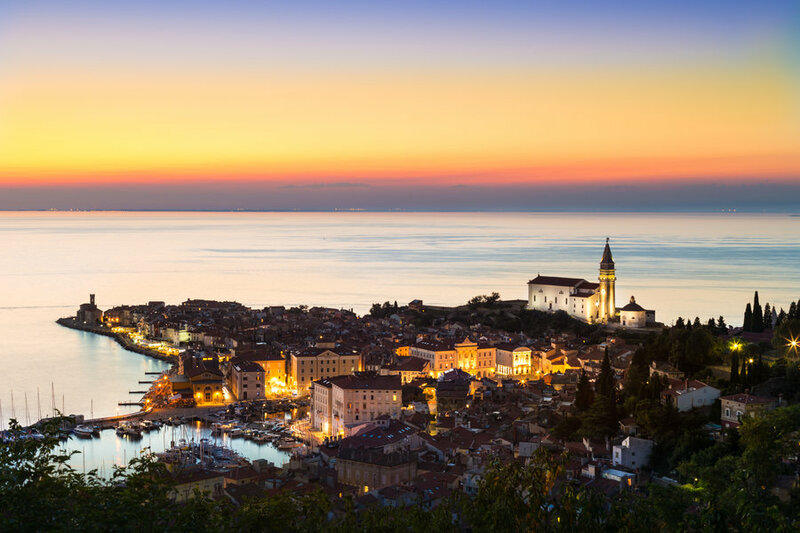 We prefer to say that Slovenia is in Central Europe, rather than the Balkans or Eastern Europe, although we are actually at the crossroads between the Mediterranean and northern Europe, between the Balkans and Central Europe, between the East and the West. Slovenia borders Italy to the west, Austria to the north, Hungary to the north-east and Croatia to the east and south. We also have a tiny bit of the Adriatic coast. The town of Piran. Source: Shutterstock. go bar-hopping in the cities or winery-hopping in one of the three wine growing regions, visit one of 300 castles or enter one of numerous Karst caves,attend one of the traditional carnivals or watch World Cup skiing or ski-jumping competitions. Wherever in Slovenia you go, you are never more than two hours away from Ljubljana, the lovely capital of Slovenia. 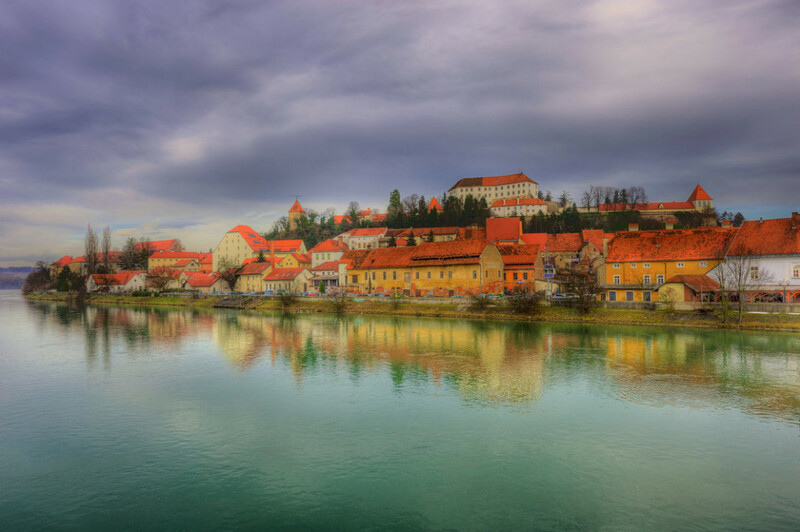 Ptuj, the carnival town of Slovenia. Source: Shutterstock. ...is one of the most common questions I've encountered during my living and traveling abroad. After booking your trip to Slovenia, you will most likely face the same question. What will be your answer? Tagged geography, history, off the beaten track. Bookmark the permalink.